My family doesn’t turn down pizza very often. It’s a sure bet that whether we’re at home or on the road we’ll eat pizza several times a month. And when I falter on meal planning or we can’t figure out what we want for dinner, 9 times out of 10, we’ll opt for pizza. 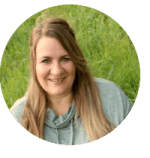 So it really doesn’t come as a surprise that when my husband and I were trying to decide on another restaurant to try from Restaurant.com, we would decide on….you guessed it…pizza. We had several options. We were actually planning to stop in at Pizza Brothers in Norwalk and grab a pizza to go but they don’t honor Restaurant.com gift certificates on Thursday, Friday or Saturday. Tip: Make sure you always read the special instructions listed on your certificate. This section will also tell you how much you need to spend at the location to use your certificate. Since we were nearby, we decided to try Bellevue Pizza House in Bellevue instead. The restaurant was easy to find. Located a couple blocks off Main Street, parking is plentiful. We arrived around 2:30ish on a Saturday afternoon to a pretty empty dining room, though they have plenty of room for a crowd. I was greeted right away by the employees who were very friendly. We had planned to take the pizza back to our kids so I placed an order and my husband and I drove around for about 20 minutes until it was finished. 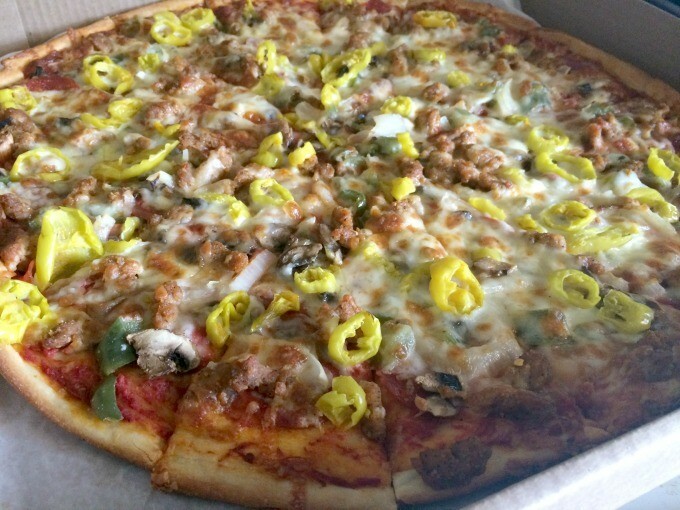 I had ordered a large Deluxe Pizza with pepperoni, sausage, mushroom, green pepper, onion and banana peppers. I was surprised to see how large it was when I picked it up. The large pizzas are 18” and sliced in 10-12 slices. We drove home before we tried the pizza but it smelled delicious. We weren’t disappointed when we arrived home and tried it. My husband and I liked it though I thought the sausage was a bit spicy and would probably skip it next time around. It also passed the two or of three kids test. Our daughter was working so she didn’t try the pizza but both of the boy’s thought it was pretty good and worth having again in the future. 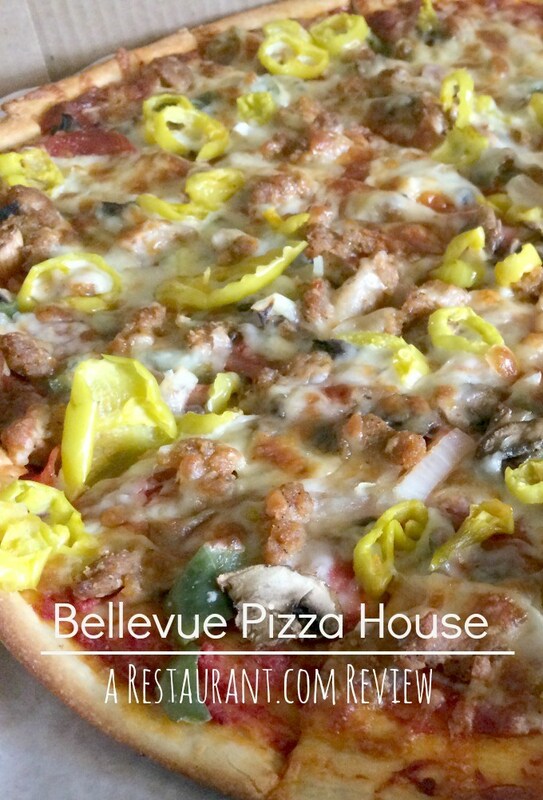 The Bellevue Pizza House Pizza is available in original crust or Old style (thicker). We had original which is a pretty thin crust. In addition to pizza they serve subs, salads, appetizers and gourmet pizzas, foldovers, calzones, stromboli, wings, meatballs, pasta dishes and desserts. 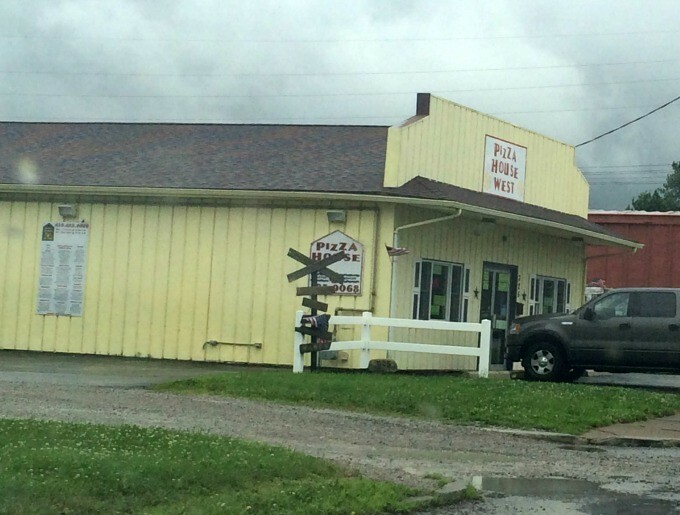 Want to dine at the Pie Factory in Sandusky? 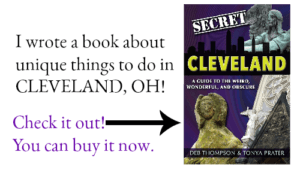 Friday 10 a.m. to 11 p.m. Think of your Restaurant.com gift certificate as a coupon towards monies off your purchase. As I mentioned above, our Restaurant.com gift certificate required us to spend $20 to redeem our $10 gift certificate, to cover the cost of the food for the restaurant. Restaurant.com partners with establishments in the hope of enticing new customers to give these restaurants a try. Most of the restaurants that participate are smaller, independently, locally owned properties.